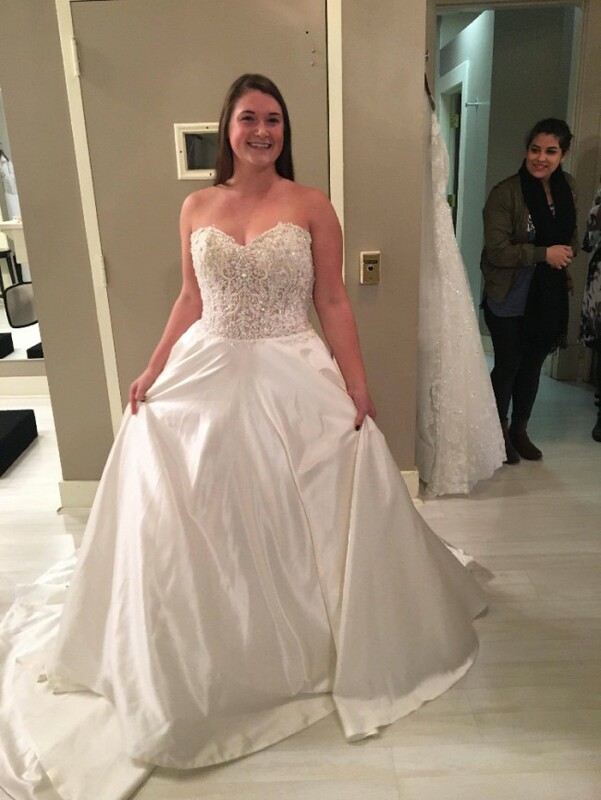 I had gone for my first appointment to Maiden Voyage Bridal and tried on quite a few dresses, including this one. Unfortunately I did not end up loving it after I bought it and was not able to return or cancel the dress. The dress has only been worn when I tried it on and had no alterations done to it. The dress is a size 12 and I’m 5’6” weighing 160 lbs. the dress is a little heavy from the satin fabric but overall it cinches the waistline, has a beaded top, and of course, pockets!! I just hope that someone will fall in love with this dress for their special day.